Hi LFC! 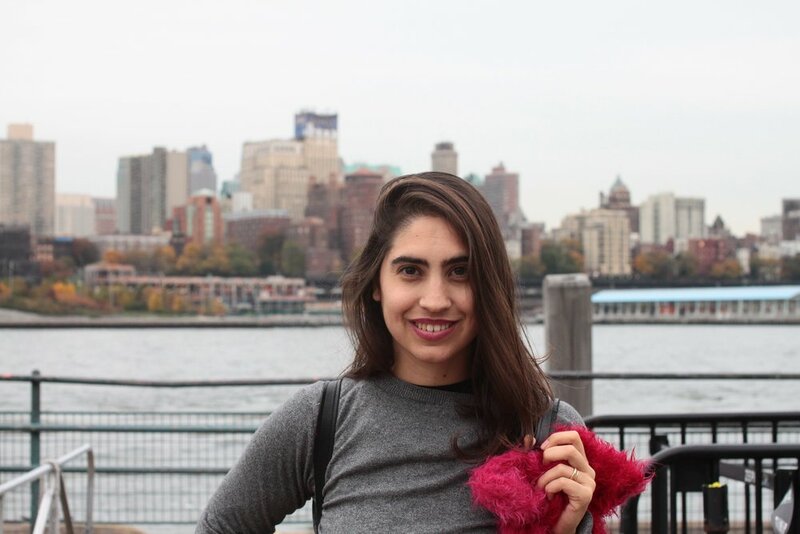 I'm Sofia and I'm a textile designer, I'm Argentinian, I live in the UK, and I'm now my own boss. Both of my parents are artists and they've always worked on their own. I grew up surrounded by people that 'made things' for a living. Whether it was clothing, accessories, tapestries or even houses, they were building, they were creating - and that really had an impact on my whole perception of life and family and career. I feel very lucky to have been raised among them. The fact that I'm working mostly with clothing is not arbitrary. I need my work to be useful somehow; I like it better that way. That's one of the reasons I went into fashion. I love it if my work can be worn, can be interacted with. I want my work to be involved in others people's lives. 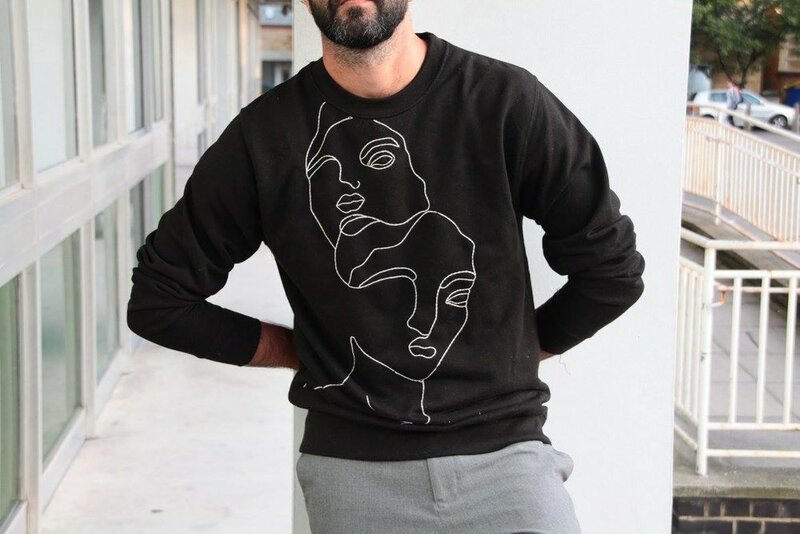 I would love to have made someone's favorite sweater. But Fashion is a tricky industry, that's why I think we have to get more involved; we have to own it. If the fashion industry is going to set beauty standards, let's be the ones that decide what's beautiful then. Not being able to handle the commercial side of it. Having to turn what I've always loved doing into a profitable business and make it my income. I also had to overcome my own prejudices towards freelancing and let go of other people's expectations. I asked myself many times, should I be getting a "real" job and make a career in a big brand? Should I be getting some real work experience for my CV? Who's going to hire me If I've never worked for someone before? It's very, very different. Not so much what I'd be doing, but definitely the way I'd be doing it. I always knew I was going to be a maker. Since I was in high school I wanted to "be a designer", but I had a very different idea then of what that meant for me. I think that what has definitely changed for my is the notion of success. I'd bought into the image of the successful fashion designer and the fashion world I'd seen in films, tv and magazines. It was a glamorous vision of something big. But it wasn't my vision, it had nothing to do with me, with what satisfaction and fulfillment means to me. Something about the scale changed. Smaller, more personal projects give me satisfaction. Being the owner of my time makes me feel successful. Success is for me, now, being able to pay for my expenses, work with people I admire or that challenge me or bring something new to my life and my projects. Being able to work in different projects at a time. Being able to choose where I'm and to go somewhere else if I want to. Being the owner of my time and able to work only with what I consider worth it. That's success, that's what I want in my life. Definitely the support of an online community. I met so many creatives, and specifically so many other girls working on their own, amazing, projects. I discovered in social media, a different way entirely of getting to know, connect and even work with and care about people. People that you know you may never meet in person, but now that doesn't matter. That, and that whatever you do, it gets easier once you start to actually do it. Like writing this article! Well, I love the internet. I go to the library more than once a week. I visit museums every time I have the chance and whether it's the first or hundredth, it works every time. Museums trigger something in me; other artists trigger something in me. I always feel like going home to make something, that maybe doesn't have a shape yet, but that is there in my head now, and it needs to become something of its own, something new. However, along with inspiration, I also firmly believe it takes consistency and lots of work. I think about my work all day and I try to make something everyday. Even If i don't like what I've made (as it often happens) or if I feel I haven't done enough. I end up revising and rediscovering old ideas all the time. For me drawing, embroidering, "making" is something in the middle of an obsession and a source or pleasure and relief. I love it, but I also kind of need to do it. I haven't faced any with the work itself, but deciding to do it from home or on my own, especially since I'm married, meant (and still does) dealing with all kind of assumptions that people make about me. I always feel I have to justify myself, to show "proof" of my work. If my partner says he can work from home then "that's great, that's amazing!" If I say I work from home and I'm married, people tend to think that I just have a hobby I spend a lot of time at. I don't know. My aspirations and desires change constantly with me, but I feel like having someone "love" a piece that i've made for them is good enough for me. I would just say take the leap. Do it. And do it now. I know it's been said a thousand times, but it really was what I needed to do. Sometimes delaying things until "you're completely ready" is the wrong thing to do. Start small, or big, but give it a try. 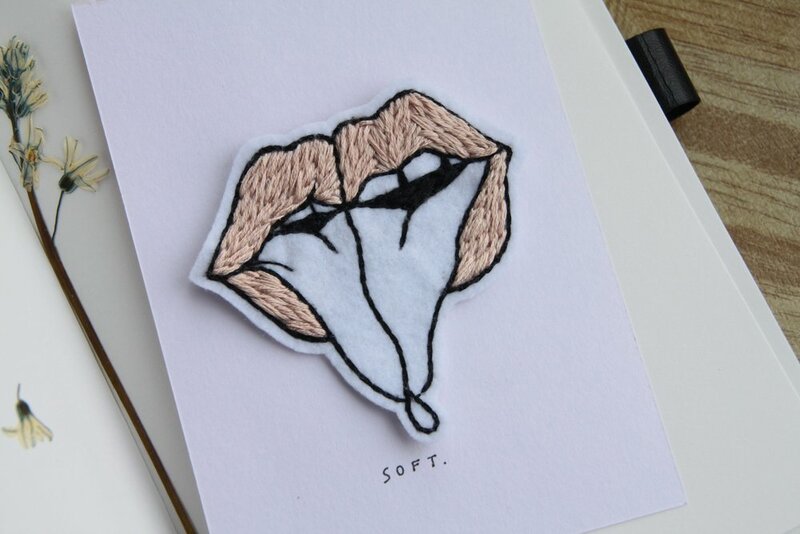 You can shop Sofia's work here and you can also find her on Instagram.